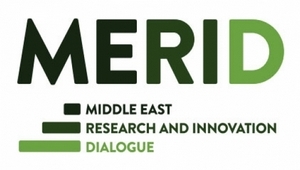 The MERID project seeks to boost existing collaboration frameworks between the EU and Middle East countries while creating new channels and forging new links, especially with countries that are newcomers to EU cooperation in Research and Innovation. MERID’s ultimate goal is to employ Research and Innovation as channels for intercultural dialogue, understanding and reconciliation. MERID adopts Science Diplomacy as a tool to deliver long-term impact and structuring effects on cooperation between the EU and the Middle East region. Its focus is primarily on the direct cooperation among researchers and policy makers while striving to establish preconditions for fostering joint research projects and initiatives with the EU. This will be achieved by facilitating and creating framework conditions for international cooperation and increasing coordination between policies and programmes.